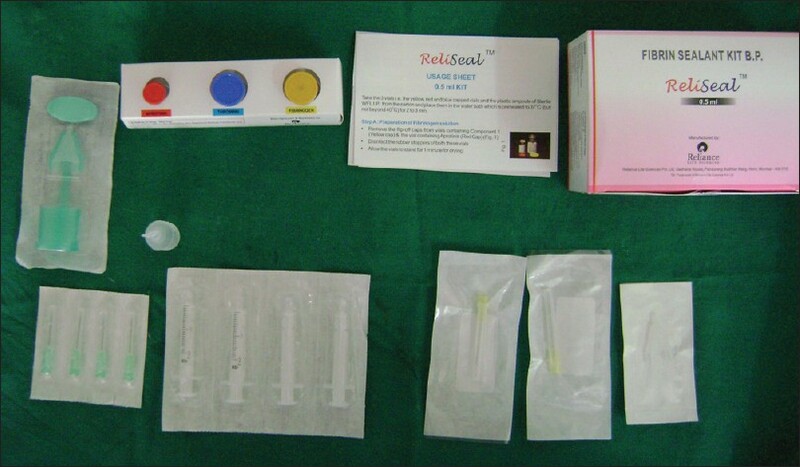 Aim: To compare the effect of experimental local-drug delivery system containing 2% whole turmeric (gel form) as an adjunct to scaling and root planing (SRP) with the effect achieved using SRP alone by assessing their respective effects on plaque, gingival inflammation, bleeding on probing pocket depth, relative attachment levels and trypsin-like enzyme activity of "red complex " microorganisms, namely, Bacteroides forsythus, Porphvromonas gingivalis and Treponema denticola. 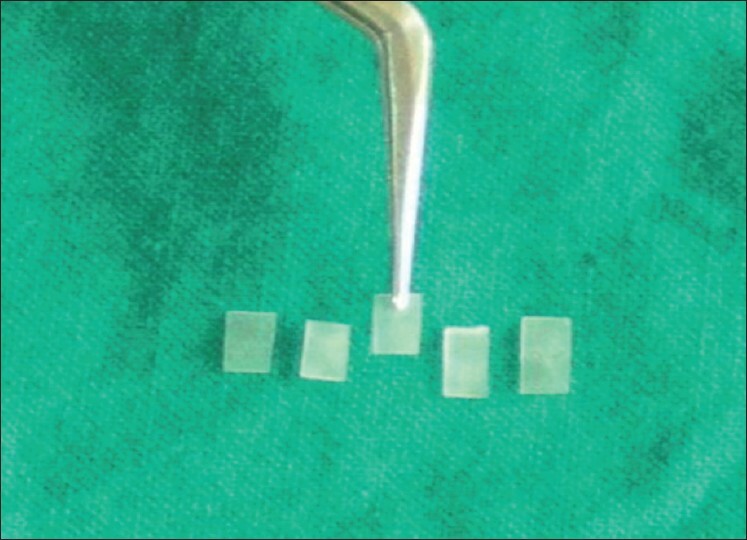 Material and Methods: Thirty subjects with chronic localized or generalized periodontitis with pocket depth of 5 to 7 mm were selected in a split-mouth study design. Control sites received SRP alone, while experimental sites received SRP plus experimental material (2% whole turmeric gel). 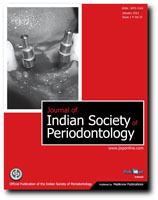 Plaque index (PI), gingival index (GI), sulcus bleeding index (SBI), probing pocket depth (PPD), relative attachment loss (RAL), microbiological study of collected plaque sample for trypsin-like activity of "red complex" by BAPNA assay were the parameters recorded on day 0, 30 days and 45 days. Results: Both groups demonstrated statistically significant reduction in PI, GI, SBI, PPD; and gain in RAL. Significant reduction in the trypsin-like enzyme activity of "red complex" (BAPNA values) was observed for both the groups when compared to the baseline activity. Greater reduction was seen in all the parameters in the experimental group in comparison to the control group. Conclusion: The experimental local drug-delivery system containing 2% whole turmeric gel can be effectively used as an adjunct to scaling and root planing and is more effective than scaling and root planing alone in the treatment of periodontal pockets. Background: Dental biofilm harboring oral bacteria is highly correlated with the progression of dental diseases. The existence of micro organisms as polyspecies in an oral biofilm and dental plaque has profound implications for the etiology of periodontal disease. The adhesion of streptococci to the tooth surface is the first step in the formation of dental plaque. Antiadhesive agents which can disrupt the biofilm formation can be an effective alternative to antibacterial therapy. Materials and Methods: A total of 10 patients both male and female between the age group of 20-40 years were included in the study. Plaque samples were taken and subjected to culturing on rabbit's blood agar plate for the growth of streptococci colonies for 24-48 h. The streptococci colonies were identified and was further subjected to subculturing for 24-48 h with disc containing ethyl alcohol+cranberry extract (Group A) and water+cranberry extract (Group B). Both these groups A and B were further divided into subgroups I, II, III, IV, and V according to concentration 1:2, 1:4, 1:40, 1:100 and 1:600 respectively. Results: Zone of inhibition of Group A with subgroup I disc was 2 mm. while with subgroups II, III, IV, V disc was 4mm. 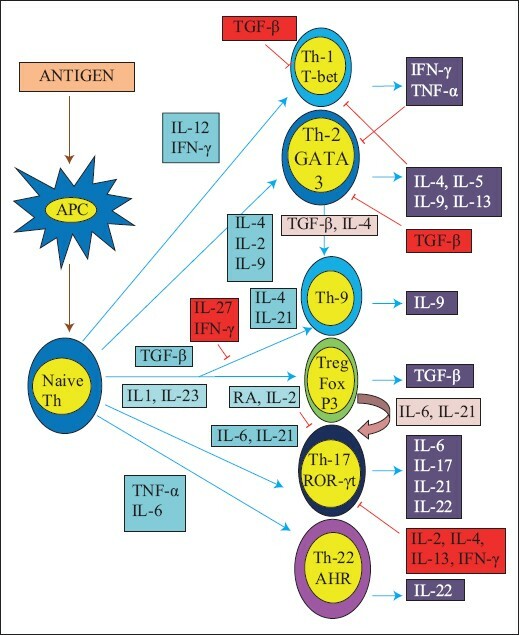 Whereas the zone of inhibition seen of Group B was same (2mm) in subgroups I, II, III, IV discs however a significant zone of inhibition (10mm) was observed in subgroup V disc. 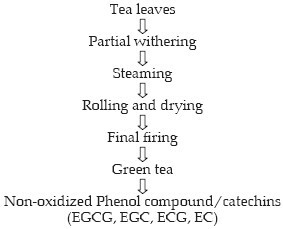 Conclusion: Cranberry juice (active ingredient: Non dialyzable material) inhibits the adhesion and reverses the coaggregation of various oral micro organisms. 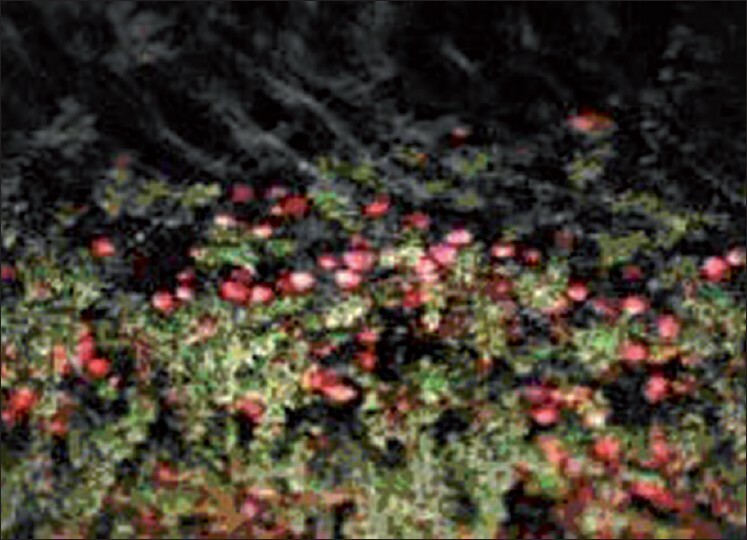 The present study revealed that cranberry gel in highly concentrated (1:600) form has an inhibitory effect on the colonization of the streptococci species, and thus can be beneficial in the inhibition of dental plaque formation. Background: Evidence on association of oral health and coronary heart diseases (CHD) is mounting in the literature. This study was designed to observe an association between status of oral health and cardiac diseases in Pakistani adults. Materials and Methods: A case-control study was conducted on CHD and non-CHD adults aged >30 years. Age-gender matched individuals without CHD, fulfilling the inclusion criteria as for CHD patients were selected for comparison. 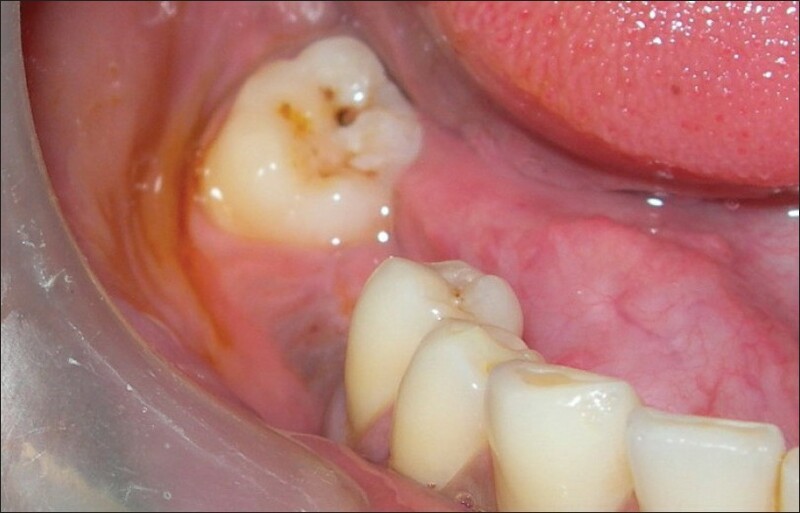 Bleeding on probing (BOP), periodontal pocket depth (PPD) and tooth loss were noted as oral health parameters. Results: 45 CHD patients and 35 non-CHD individuals were examined. 53.75% were males and 46.25% females, 37.5% subjects were uneducated, 65% belonged to lower income group, 58.75% subjects were ≥obese and 88.75% were non-smokers. Mean of percent sites of BOP ( p =0.007), PPD ( p =0.031) and tooth loss ( p =0.021) were significantly higher in study group. In stepwise logistic regression analysis, BOP and tooth loss showed a significant positive association with CHD; however, association of PPD was not significant. Conclusion: Oral health parameters were significantly higher in CHD patients. Bleeding on probing and tooth loss was positively associated with CHD after adjusting for other socio-demographic variables. Background: The efficacy of a nonsteroidal anti-inflammatory agent, ketorolac tromethamine, was evaluated in pain control after periodontal surgery. This type of agent acts peripherally by inhibiting the release of prostaglandins and minimizing the local inflammatory response. Thus, there may be an advantage in pretreatment administration of ketorolac tromethamine, 10 mg, compared with placebo on operative pain during periodontal surgery. 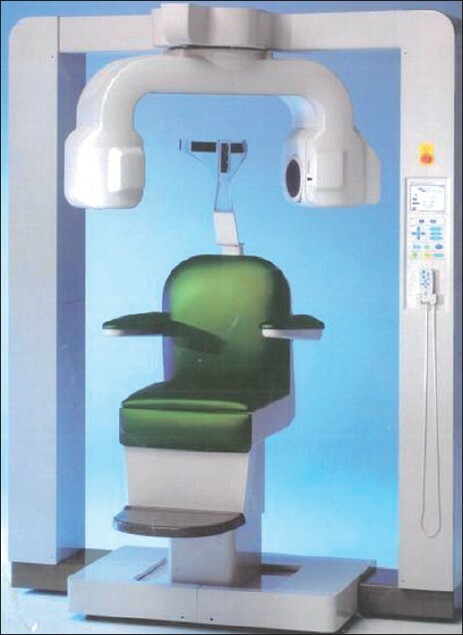 Materials and Methods: Two groups of 40 outpatients from the Department of Periodontology, Darshan Dental College and Hospital, Udaipur, were selected for this study. Patients who were to undergo periodontal surgery were randomly given either one group 10 mg ketorolac immediately before surgery or the other group placebo tablets at least 30 minutes before administration of local anesthesia (LA). All procedures were performed under LA, and the total volume of anesthetic used was recorded. The duration of surgery from the time of incision to the placement of the last suture was recorded. At the completion of the surgery, patients were supplied with printed record forms and were asked to rate their subjective operative pain intensity using a visual analog scale. Statistical analysis: The data were analyzed using the student t test. Results: Results indicated that preoperative treatment with ketorolac significantly reduced initial pain intensity of operative pain as compared with placebo. No adverse reactions related to preoperative medication were observed. Conclusions: The results of this study showed that 10-mg ketorolac administered immediately before periodontal surgery was effective for alleviating the operative painful sequelae. Dental implants are being increasingly applied in the restoration of partial and completely edentulous patients. Often, in these patients, soft and hard tissue defects result from a variety of causes, such as, periodontal infection, trauma, and tooth loss. These create an anatomically less favourable foundation for ideal implant placement. For prosthetic-driven dental implant therapy, reconstruction of the alveolar bone, through a variety of regenerative surgical procedures has become predictable. This article documents the soft and hard tissue treatment management of a patient with Generalized Chronic Periodontitis, who required hard and soft tissue augmentation of the ridge, prior to implant placement. We augmented the height and width of the ridge (Seibert's Class III ridge deficiency) using an Autogenous J-shaped graft involving the chin and lower border of the mandible, followed by soft tissue augmentation of the ridge with a subepithelial connective tissue graft. A significant increase in the ridge dimensions was achieved. Plasma cell granuloma is a rare benign lesion characterized by the infiltration of plasma cells; primarily occurring in the lungs. It is also seen to occur in the brain, kidney stomach, heart, and so on. In the intraoral region it is seen to involve the tongue, oral mucosa, and gingiva. This case presents a 42-year-old female, with an enlargement in the maxillary anterior region, treated by excisional biopsy. Histological evaluation revealed plasma cell infiltrates in the connective tissue. The immunohistochemistry revealed kappa and lambda light chains with a polyclonal staining pattern, which confirmed the diagnosis of plasma cell granuloma. Chronic lymphocytic leukemia (CLL) is the most common form of leukemia in adults and is associated with increased risk of malignancy. T-cell lymphoma associated with CLL has never been reported. 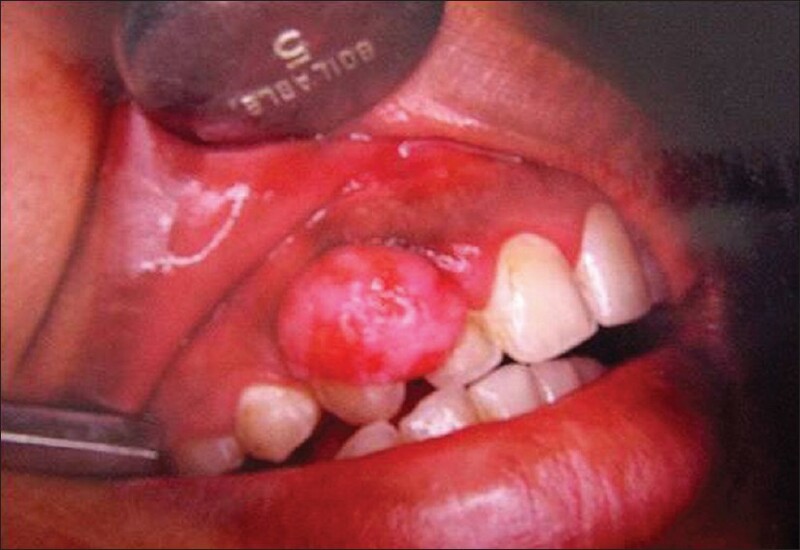 The case report presents a unique case of peripheral T-cell lymphoma on the gingiva of a patient with CLL. A 66-year-old man with a history of CLL was referred to the Mayo Clinic, Department of Dental Specialties, for evaluation of swelling in the upper left posterior sextant. An intraoral examination revealed a soft tissue swelling in the area of teeth number 13 and 15, including the present edentulous ridge between number 13 and 15. An incisional biopsy was performed on the palatal aspect of tooth No. 15 and submitted for histologic evaluation. The histopathology revealed proliferation of large atypical cells beneath the epithelium, positive for antigens CD2, CD3, Beta-F1, TIA-1, and Granzyme B consistent for a diagnosis of a peripheral T-cell lymphoma. A team approach including the hematologist, general dentist and periodontist resulted in timely referrals leading to an early diagnosis and early intervention and treatment. The accessory mental nerve and the corresponding foramen are not a very common occurrence. In the current case report, we present the notice of an accessory mental nerve in the mandibular molar area during implant placement. The case was managed well without any complications. 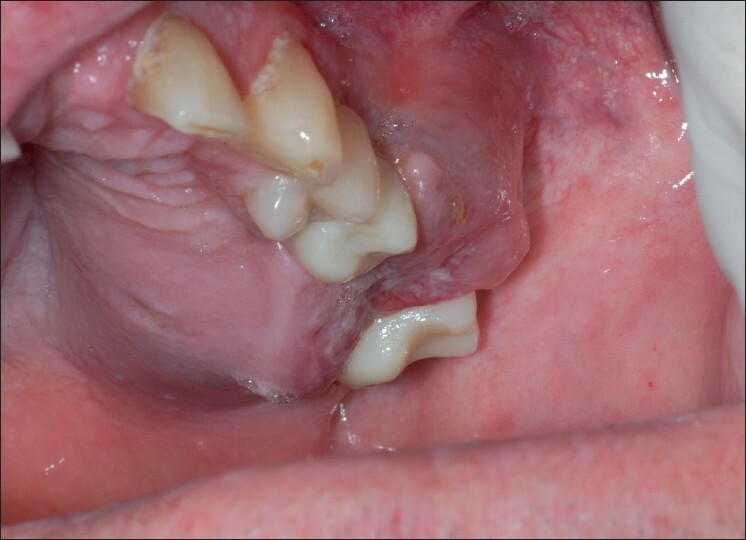 The purpose of this case report is to present the results of Fibrin Adhesive System (FAS) application, a topical biological tissue adhesive in the treatment of maxillary buccal recessions. 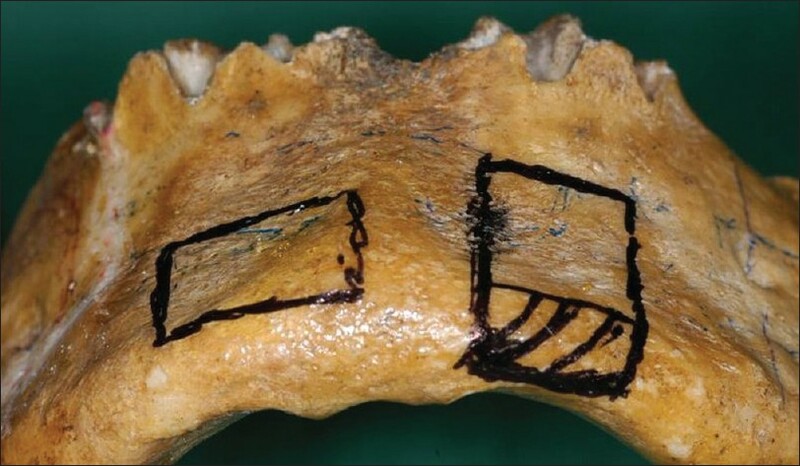 A 40-year-old male patient presented with a pair of class I buccal recession defects on maxillary cuspids. Clinical parameters were recorded at baseline, 1 month, and 3 months. Semilunar coronally repositioned flap (Tarnow's technique), root debridement, root conditioning with tetracycline hydrochloride solution and one of the defect was treated with FAS application. Significant recession, height reduction, and attachment gain were observed with the FAS application defect site. About 50% of root coverage was noted in the FAS-treated defect and almost no root coverage in the defect site with no FAS application. Semilunar coronally repositioned flap with FAS application is an effective procedure for root coverage in anterior teeth. The addition of FAS improves the amount of root coverage, especially in relatively shallow defects. Lesions of pulpal and periodontal origin may perpetuate from either the infections of dental pulp or periodontium or alveolar bone. 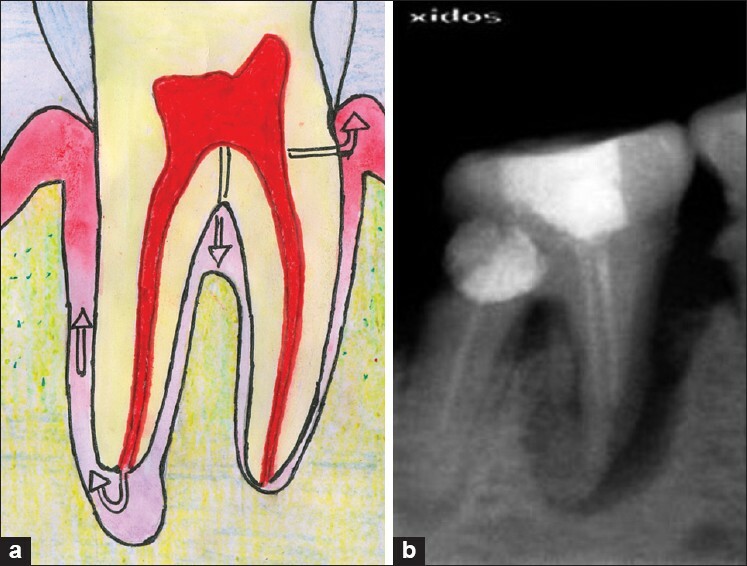 This review focuses on interdisciplinary diagnostic approach towards lesions of periodontal or endodontic origin.